Long odds are tough to beat and yet this doesn’t stop people from playing the lottery. After all, who wouldn’t want to walk away with a prize that can change the course of their life? Some people participate in the lottery regularly because they believe their luck will turn and they will be able to walk away with the prize of their dreams. There are also those who don’t play because they don’t know if it is possible to win. 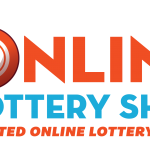 Australia is regarded as a land of lotteries as it offers a plethora of lottery games for people to play. You can play a different game on every day of the week and each has its own rules, odds and prize structure. Therefore, it is not surprising to know that lots of people win prizes on a regular basis in Australia. As a matter of fact, some of their stories are downright unbelievable and fascinating. 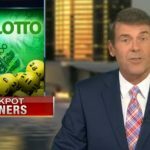 There were twenty five people who began this year with the surprise of their life because they discovered that they were the winners of the $70,000,000 with Oz Lotto and Saturday Megadraw. The Saturday Megadraw had been conducted on December 30th and resulted in a total of twenty one people sharing the division one prize, which was around $1,428,571.43. One of these extremely lucky winners was a man from Coomera located in Queensland. When asked about his reaction to the win, the man said that the first thought that crossed his mind was about his ex. He jokingly said that he wondered if she would know reconsider the breakup after discovering that he had won the lottery. As far as plans for the win are concerned, the man said he didn’t really have any idea of what he was going to do, but he did think that his retirement plans would be put into action much sooner than before. The winning ticket was a Quick Pick for 24-game and matched the six winning numbers and also the two extra numbers. The winning tickets for the draw were spread all over the country and included winners from Queensland, Tasmania, Victoria, Western Australia, New South Wales and South Australia and some of the tickets were purchased online. Hailing from Labrador on the Gold Coast, a woman was also shocked when she found out about her win. Upon hearing the news, she said she didn’t know if she should laugh or cry. The woman sobbed and exclaimed that it was wonderful and she had gone numb when she was first told about her good fortune. She had bought a Quick Pick 36-game ticket for her participation. She was also asked about her plans for the winnings and the woman said that she was going to use the money to pay off her mortgage first. She also said she was hoping she could retire a bit earlier now since she had won the money. A woman from Nundah was also delighted with her windfall and mentioned that it was now possible for her to fulfill her dream of having her own BMW. She explained that she was always saying that it would be the first thing she would do if she ever won the lottery. In her 50s, the woman had purchased a 24-game Quick Pick ticket for the draw. She had been so stunned with her win that she actually kept the ticket under her ticket before going to sleep. The Oz Lotto winner was also delighted to hear that she had won the Division one prize. She was in complete shock when she was contacted on the phone and found it difficult to believe the news. The woman also said that she hadn’t won anything ever before so to have such a huge win the first time was also great. She was asked about her plans for her winnings and she revealed that her sister had come to visit her from overseas so she was going to use some of her winnings to buy a house for her. As far as plans for herself were concerned, the woman said that she had been thinking about renovating her house and couldn’t think of anything else for now as she now had enough to buy a new house altogether. Last, but not the least, it turned out to be the holiday of a lifetime for a lady when she woke up to the news that she had one of the four winning tickets for the Division one prize of $40 million. 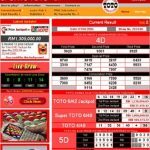 As her ticket had also won a Division three prize seven times, the sum of her total winnings had reached an impressive figure of $10,026,020.70. She was stunned when she found out about her sudden luck and said that the win hadn’t really sunk in yet. The woman was also asked about what she planned to do with her winnings, the woman said that she was going to use the cash for her family because they had really been struggling. She said that her life would change now as she could fulfill her dreams. The woman had bought a System 8 entry ticket for two games in the town of Wodonga, located in Victoria on the NSW border. She also disclosed that she had been playing the same ticket for years with her kids. She said that the entire family, including her husband and children, had picked the numbers together and they were all going to enjoy the win to the fullest. Is There a Strategy to Winning? Most of the winners bought the Quick Pick ticket for the lottery games and the randomness of the numbers worked in their favor. They all were generous with their winnings when it came to their families and didn’t have any drastic plans of blowing their prize away on unnecessary things as some winners have been known to do. 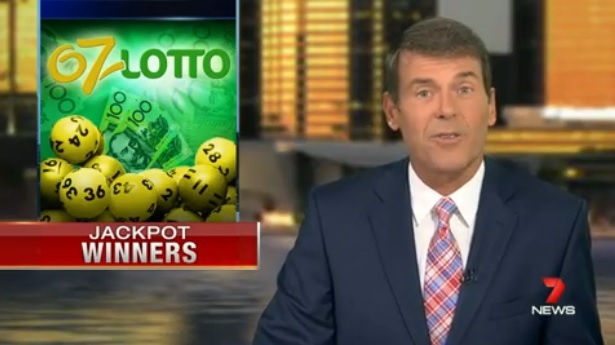 These stories are very inspiring because they show that people from any and all backgrounds have an equal opportunity of winning a prize in the numerous lottery games available in Australia.